POP stands for put on pieces. This line includes a few awesome colors! They are: Amethyst, Blue, Gold, Pink, Purple, Red, Black, Teal, and Light Purple. 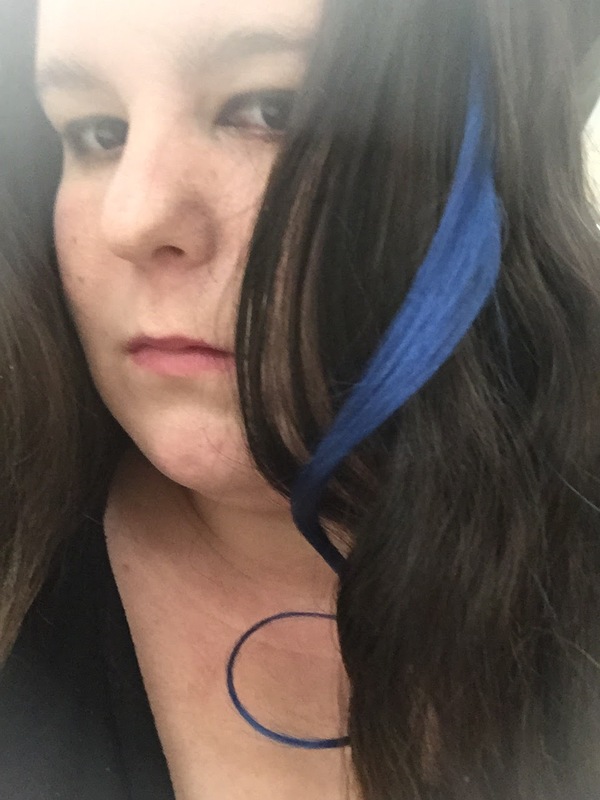 I have tried to do the blue hair and the bleaching was just too hard on my hair to ever hope to maintain that maintenance that Turquoise hair needs and deserves. Adge has and can pull it off but my hair is just too long and too thick to keep up with the dying bi weekly and sometimes weekly. So how do you get fun colored hair without having to deal with the bleach or even the spray on colors? That's easy! Extensions offer a outlet to your wild side without damaging your natural hair. 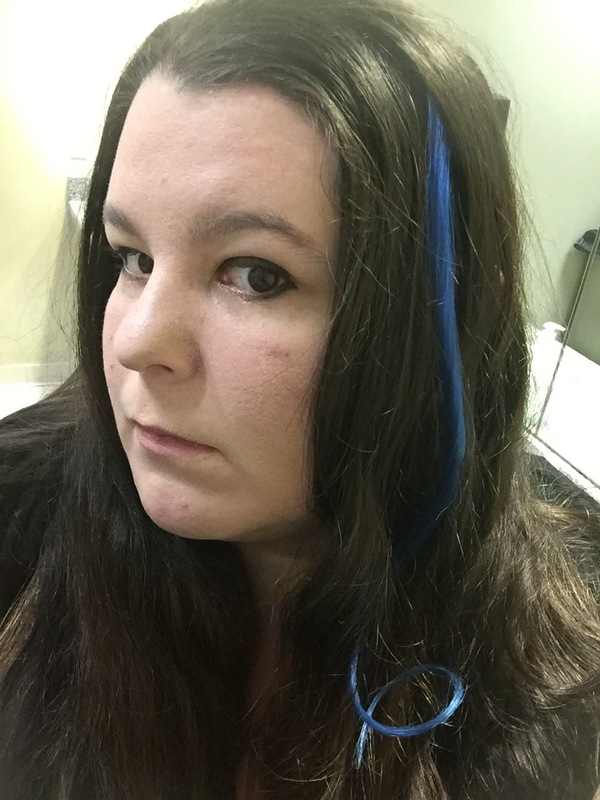 I have had extensions before but with my hair being so curly they looked odd having a straight piece of colored hair. Well the problem I found was you can't curl the synthetic ones like I had without melting them. That is why these are so great. They are 100% human hair so you can curl them, straighten them, and even de tangle them where is with the others what you had is what you got and once they tangled forget it. 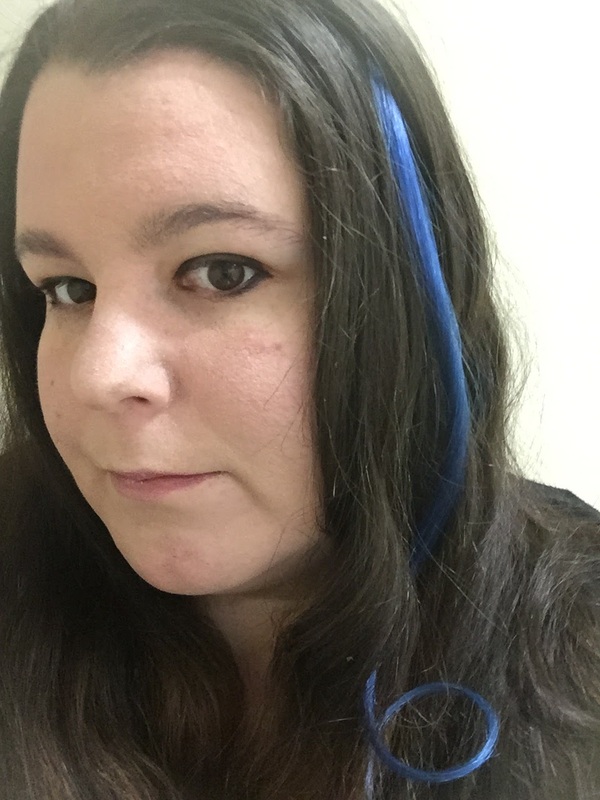 Even though I could have curled this to show you I chose to instead to get my hair cut and straightened since I was long over due and added this in. It gave me the rocker edge and allowed me to take it out at the end of the day. I want to say I love how well these stay in when you pop the clip into place. I had no worry this would fall out during the day like my synthetics do. I was even able to put my hair up while I had it in and had no issues. I love my clip in and now I want more colors! If you want to check them out and order your own then head over to the site. It's really cute and fun, I'm going to check out all the colors. I love these! I am going to have to check out Ulta for them, great review! 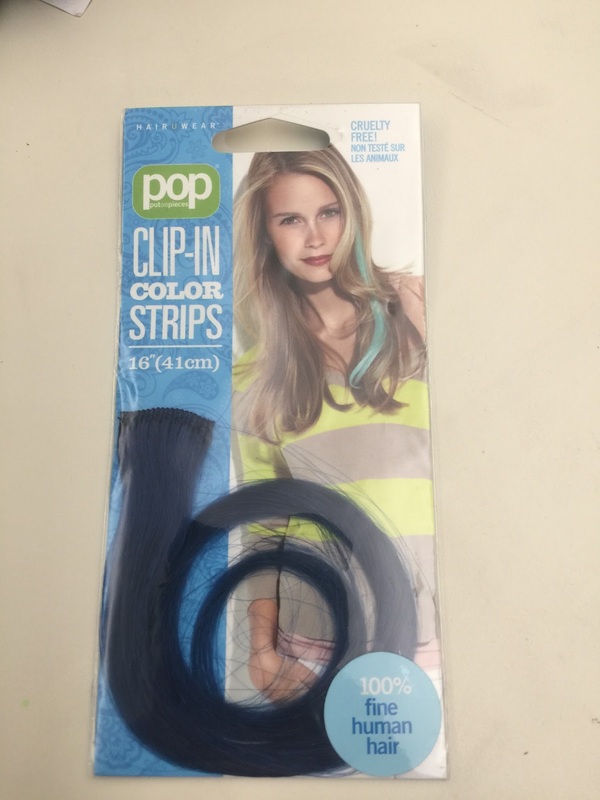 These are great for older women like me who just can't commit to dying our hair bright colors.